A very different Christmas collection than usual – as this set features mostly pre-war blues with a very gritty feel – and not the usual Holiday warmth you might know from more famous records! Much of this material was originally issued on 78rpm discs, and has this gritty vibe that reminds us that although some folks are snug and warm on December 25th, there's other folks out there who aren't having such a great time – stories spun out here that involve lost love, isolation, and incarceration! As the swing years move in, a few tracks get a bit jazzy – but often still have strongly blue undercurrents. 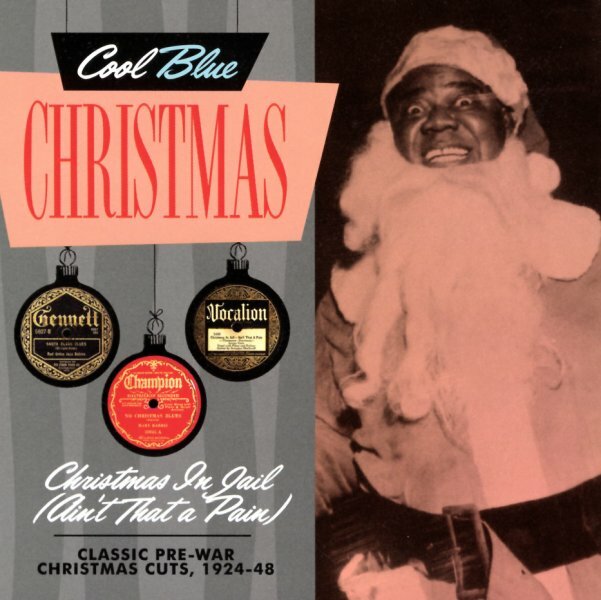 The package is a double-length set – with 42 tracks in all – titles that include "No Christmas Blues" by Marry Harris, "Santa Claus Blues" by Peetie Wheatstraw, "Christmas Song" by Leadbelly, "Gin For Christmas" by Lionel Hampton, "Santa Claus Bring Me A New Woman" by Bumblebee Slim, "Santa Claus Crave"b y Elzadie Robinson, "Christmas In Jail" by Leroy Carr, "Santa Claus Blues" by Eva Taylor, "Christmas Christmas Blues" by Charlie Jordan, "New Santa Claus" by Walter Davis – and lots lots more! © 1996-2019, Dusty Groove, Inc.